A beautiful home with a spacious yard is something out of a dream, right? If you’re fortunate enough to have these things, you know just how lucky you are. When you’re trying to improve the look and feel of your property, there are a number of options for you to consider. Fortunately, every choice that you make increases the value of your home by making it more appealing to potential buyers. If you do decide to move away, you know that you have a valuable asset in your possession. People are drawn to different features of a home and yard. There are a number of ways you can improve the appearance and functionality of your outdoor space. With Diamond Decks, you have options. We don’t only build decks and patios, we also provide a number of different shade structures that make your space more comfortable. This increases the value of the home by making it more appealing to potential buyers. If you want to know the difference between shade structures like pergolas and arbors, you’re in luck. We offer both as options to our customers. By informing you of your choices, we empower you to make the right decision for your home and budget. Knowing the difference between a pergola and an arbor helps you decide which is better for your property. Each has its own list of benefits. Sometimes, it boils down to aesthetics as a pergola and an arbor differ in appearance. A pergola is designed to provide support to climbing plants. It has posts that provide support for its roof. A pergola is used to provide shade to walkways and even decks. An arbor often consists of a trellis. It helps create a tunnel-like effect where climbing plants thrive. If your green thumb is something you want to show off, you might want to look into this option. It’s yet another way to shade an area of your yard naturally. 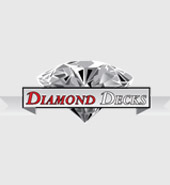 Diamond Decks offers both as options for you and your property. If you want to create shade in your walkways or backyard, you can easily add a pergola or arbor which instantly cools down the space. You’ll have protection from the sun and still maintain the beautiful look of your home. There are a number of benefits of adding a pergola or arbor to your space. The first, of course, is how it makes your property look. It’s a beautiful addition that can be customized based on your needs. Next, it provides you with additional protection from the sun’s hot rays. If you’re the type of person who likes to spend a great deal of time outdoors, you’ll love being able to during the hottest hours of the day. You’ll get the shade that you need to sit, relax, read, and entertain family and friends. If the kids spend time in the pool, you can be outside with them, too. You don’t have to miss out on family time with your teens because it’s too hot to go outdoors. You can put on a hat, find your favorite spot in the pergola or underneath the arbor and enjoy yourself. An arbor or pergola helps draw interest to the space. If you’re thinking about selling your home, having these items on the property increases the value of the space. People will want to spend time outdoors enjoying the shade the way you did in the past. Now that you know the importance of shade structures such as pergolas and arbors, you’ll be more likely to have one built on your property. If you do decide to make the investment, contact Diamond Decks for more information. We’ll be more than happy to provide you with an estimate of costs so you know exactly how much financially you’ll need to contribute to the project. We’ll also give you an idea as to how long the improvement will take. That way, you can continue to enjoy your outdoor space without interruption. Once the pergola or arbor has been built, you’ll benefit from having a shady outdoor space to enjoy. Don’t wait another moment to add to your property. If your improvement project was delayed in the past, it’s time that the experts of Diamond Decks completed it for you. We’re known throughout town as the company to call for decks, patios, pergolas, and arbors. Let us know what we can do for you. We take pride in the building process and love sharing our work with others. Take a look at our online gallery for inspiration and to see how professional our builders are.